PressBooks has a structure that includes: Front-matter, Parts, Chapters, and Back-Matter. Up until now, our Part Pages have contained just the Part Name, and depending on your theme options, the Part Number. 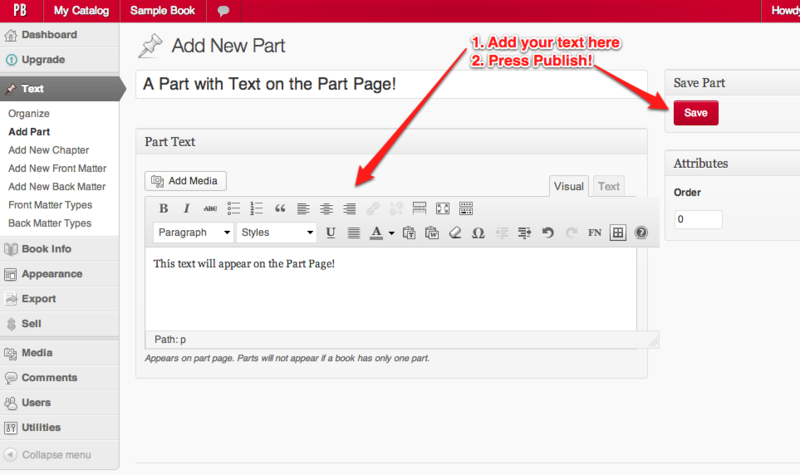 We’ve added a new feature that allows you to add text to the Part Page. Write in the text of your Part in the Textbox. Email us if you have troubles or questions, at: support@pressbooks.com. Adding text to the Part Page.